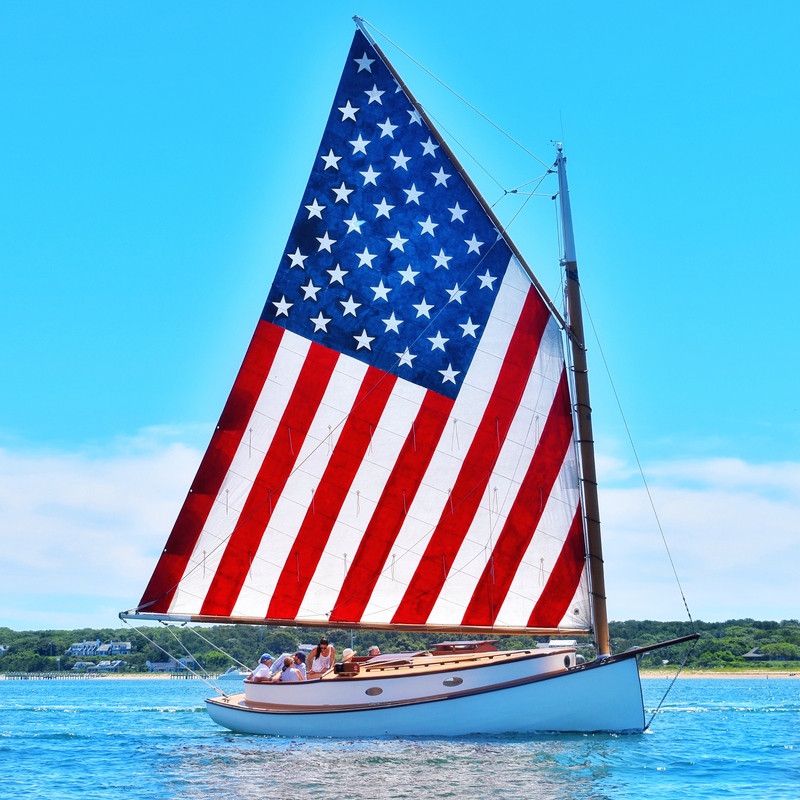 Traveling to Edgartown, Martha’s Vineyard soon? As someone who lives on island year-round, I constantly get asked the same questions over and over again: “What’s the best place for breakfast/lunch/dinner in town?”. I’ve put together this Foodie Travel Guide to Edgartown, Martha’s Vineyard as a guide for everyone – here are my top picks on where to stay & what to eat in Edgartown, Massachusetts ! As someone that travels for a living half of the year, it seemed odd not to have a food travel guide about where we live – since it’s one of the most popular summer destinations on the East Coast. So without further ado, here’s my Foodie Travel Guide to Edgartown, Massachusetts, a quaint, New England town on the island of Martha’s Vineyard. Below, I’ll share with you my top picks for where to stay in Edgartown, along with my suggestions for breakfast, lunch, and dinner while in town! If you’re wondering how to get to Martha’s Vineyard, here’s an informative link – since I know people always wonder. A classic Gothic Revival inn , the Hob Knob has been named one of ‘America’s Most Charming Inns’ in Departures Magazine and I can attest to that. Located on the beginning of Main Street Edgartown and is a short walk from the heart of downtown. Its seventeen rooms offer something for everyone. Their amenities are plenty, but my favorite is the local, cooked-to-order farm breakfast and afternoon tea service. The rooms are luxe and well-equipped, whether you’re on your honeymoon or traveling with a friend. Diane, innkeeper and co-owner, is always around to help you have the best vacation ever – she’s a great person to ask for tips, suggestions, and recommendations for things to do in town! The Hob Knob is located on 128 Main Street, Edgartown, MA and open year round, with weekend dates in the off-season. A newcomer to the area, The Christopher by popular hotel brand, Lark Hotels, is the ideal accommodation for modern travelers that love color, detail, and technology focused amenities. Formerly The Victorian Inn, it’s a fully renovated 15-room boutique hotel currently run by innkeepers Julie and Marla, who might just be the nicest women in town! When I say technology-focused amenities, some of them include: Tivoli Bluetooth radios in every room, Flat-screen TVs with Apple TV, Free wireless internet – and my favorite, a complimentary iPad for use during your stay handed out at check in! Another reason to love The Christopher is their curated small plates breakfast, “complete with homemade Martha’s Vineyard style baked goods and pastries, breakfast salads, granola, baked egg dishes, fresh fruit and juices, Mighty Leaf organic teas, and more”. It’s the perfect start to the day and the inn is very detail-focused – I’ve known of a few times they’ve made guest favorites! The Christopher is located on 24 S Water Street, Edgartown, MA and is open seasonally May through October. 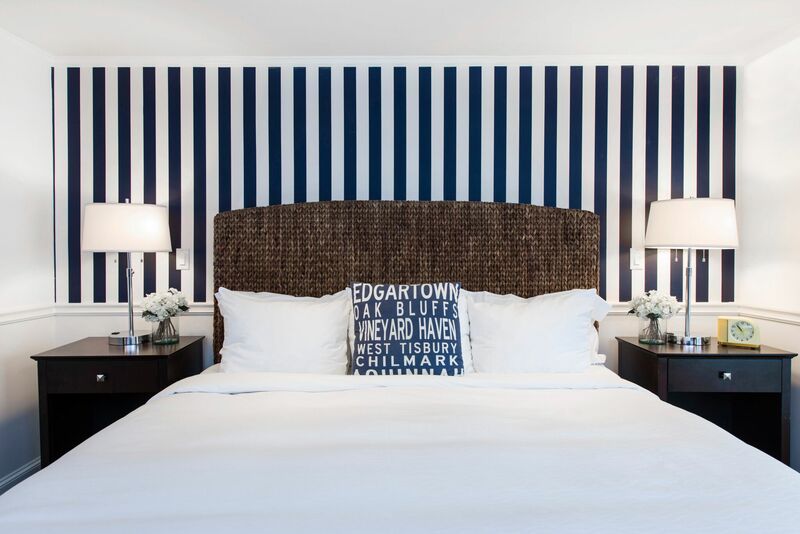 If you’re traveling with younger kids or teenagers, or are just a big family looking for the perfect hotel to stay in Edgartown, the Harbor View Hotel is it! 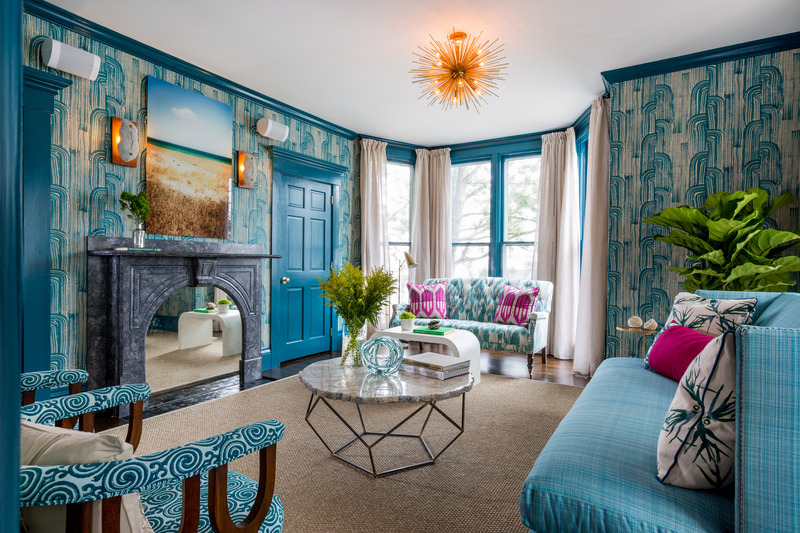 It’s a hotel that families have been making memories in for decades – located at the end of North Water overlooking the Edgartown Lighthouse, once you arrive at the Harbor View Hotel, you’ll feel at home with all their thoughtful amenities to make your vacation easier. Not only are their accommodations incredible, but their dining options are superb. Start your day off with a Lobster Benedict at Lighthouse Grill, grab a fresh lobster roll poolside for lunch at their North 41 pool bar (open during season), and dine at the fun and bustling Henry’s Bar for dinner (get the lobster tacos as an appetizer, you won’t be disappointed!). It’s a great family-friendly hotel that still keeps it’s luxurious creative vibe! Harbor View Hotel is located on 131 North Water Street, Edgartown, MA and is open year round except in 2018, when it will close in October for renovations. Whenever I’m on vacation, the first thing I need to secure is locating the spot where I will get my caffeine fix every morning. Coffee is the most important part of my day and if it’s yours as well, follow my lead and walk over to Behind the Bookstore, a fantastic coffee shop right on Main Street and quite literally “behind the bookstore”, referring to behind Edgartown Books. They take their coffee seriously here, so be prepared to enjoy a well made cup. When I have time, I order it for there and sit on their outdoor patio while people watching. All their coffees are fantastic, since they start with incredible beans, grinding them to order. My personal favorite is the Mocha – a blend of their house-made chocolate ganache, espresso, and steamed milk are just what I need to get the day started. Behind the Bookstore is located on 46 Main Street, Edgartown, MA 02539 and open seasonally from May through November. I’m always asked where the best place for breakfast in Edgartown is and while there are so many delicious places, when I really want to treat myself and enjoy a relaxing morning, The Right Fork Diner is the just place I recommend. Diner food sometimes gets a bad rap, but not here. It’s elevated, creative, yet approachable. My go to when I go for breakfast is their Fried Chicken Benedict over Corn Cakes. Seriously, nothing better than savory, cheesy corn cakes topped with fried chicken, poached egg, and creamy hollandaise. Give me a refill on my black coffee and I am happy. They have a large menu of breakfast and lunch offerings – so there’s something for everyone. What makes it the perfect family breakfast is that it’s located on the Katama Airfield so while you’re eating breakfast, you can enjoy a show of biplanes taking off and landing in the nearby airstrip. Right Fork Diner is located at 12 Mattakesett Way, Edgartown, MA 02539 and open seasonally May through September. If I’m in town early enough for breakfast and need a quick bite, the breakfast sandwich at Rosewater Market is my go to. It’s basically an egg sandwich, where you choose whether you want a homemade English muffin or a biscuit (BOTH are amazing) and then choose your toppings: Bacon or Rosewater Linguica Patty, Cheddar or Goat Cheese, and Spinach, Tomato, Pickled Red Onion, and/or Avocado. It’s delicious and the market is just one of my favorite spots to relax in town. Coffee, wifi, friends – what else do you need? Rosewater Market & Takeaway is located on 20 South Summer Street, Edgartown, MA and is open year round except for a short time in January when they take a well-deserved break. Tucked on a side street in Edgartown, the Black Sheep kitchen is run by Judy, the chef that creates these delicious crackle breads. Imagine like the flakiest crispy pizza crust, but not as dough and then topped with a variety of ingredients. They’re innovative, delicious, and satisfy that lunch time hunger. Grab a cookie or brownie before leaving Black Sheep! In the peak of the summer season, it is a bustling market with exquisite prepared food, cheese, charcuterie, fresh baked goods, unique pantry items and gifts. Everything you need for your beach day, boating excursion, or party! I sometimes stop in after work and grab some already made foods to eat at home for a quick dinner. Black Sheep is open seasonally and located at 18 North Summer Street, Edgartown, MA. Let’s be clear here – I am not one to be a sub lover. I just am not. Until I had the meatball parmesan sub from #9 Sandwiches in town. Pictured below isn’t even the entire sandwich, but just a couple of meatballs because I ordered extra – they were that good. Served on deliciously crusty (but not too crusty) bread, tender, flavorful housemate meatballs are soaked in a housemate marinara sauce and served up with fresh basil and a blend of cheeses. It’s divine I tell you and just the sustenance you need during a day at the beach. 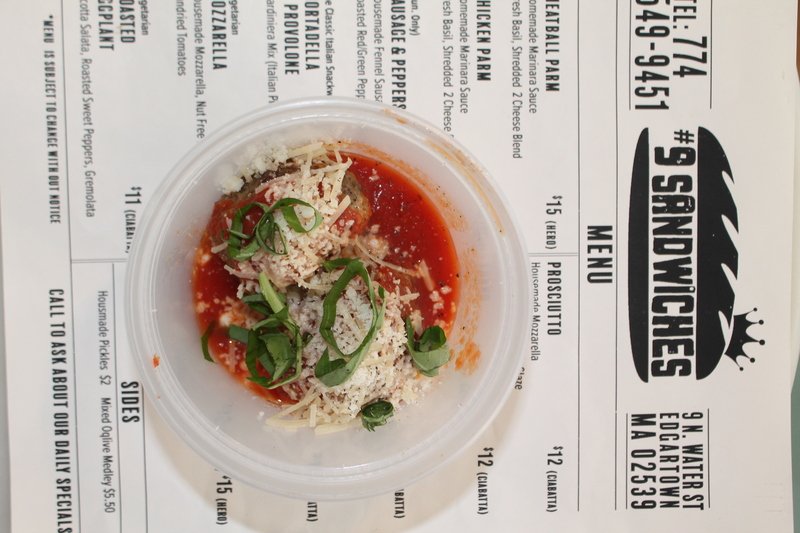 They focus on Italian-American sandwiches using imported ingredients from Italy and also make a few things in-house like mozzarella made daily, as well as their own fennel sausage, meatballs, tomato sauce, and bread for specials. If you’re craving authentic Brooklyn eats, check them out. Even better, they share the space with Mad Martha’s Ice Cream! #9 Sandwiches is located on 9 North Water Street, Edgartown, MA and is open seasonally May through September. Oh Backyard Taco, how I love you so. This is the only place on island that makes their own corn tortillas, the dough made and pressed daily. It’s own and run by two close friends of mine, Evan and Zared, along with their dad Raphael (the tortilla man!). The vibe inside Backyard Taco is energetic, fun, and friendly. At night, it gets a little rowdier but still incredibly fun with delicious food. My recommendations are both vegetarian – and I’m no vegetarian. The eggplant taco is cooked up with some incredible spices and just the right amount of heat, so it’s a must. The falafel taco, with four small housemade falafel and topped with tzatziki sauce, is one of the best bites in Edgartown. Evan, one of the two brother owners, make this falafel dough and takes special care: he peels every chickpea to create a flavorful and delicious falafel! Order a side of guacamole and chips, cashew cheese, and a Yona for dessert (Middle Eastern coconut dessert) and you’re set. Backyard Taco is located on 33 Winter Street, Edgartown, MA and is open seasonally April through October. Alchemy in Edgartown is hands down a must when you visit. The location is pretty much the best spot on Main Street, right at the beginning of it, so you don’t have to think about it. It’s been part of the Edgartown food scene for the past 20 years and just recently, with a change of ownership and chef, a few tweaks here and there have been made to serve up the best experience and food. Culinary styles of Italy, France and Spain, combined to create a unique American bistro experience – meaning there is something for everyone, carefully and elegantly done. 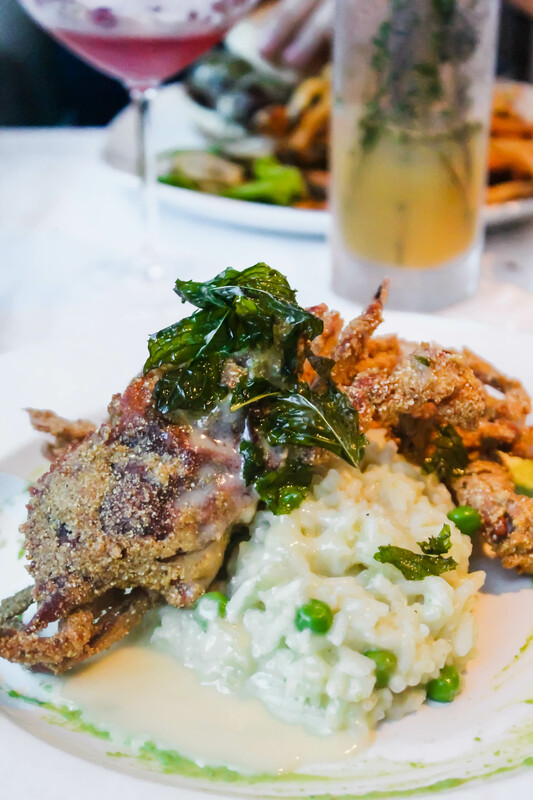 Order the soft shelled crabs, a staple on the menu with a spring pea risotto that’s creamy and to die for. Eight years ago was the first time I had soft shelled crabs and it was at Alchemy, so the dish has great nostalgia for me. The crabs are crisp and light, flavorful and the perfect pairing to the risotto. Oh – and if you’re looking for a restaurant that showcases incredible mocktails, this is the spot! Typically, Lucky Hank’s is known for being a breakfast and brunch kind of place, but I think their hidden secret is that their dinner menu is up there with any of the other restaurants. Sure, their eggs Benedict on cod cakes are divine, but what chef/owner Dough creates for dinner is outstanding. 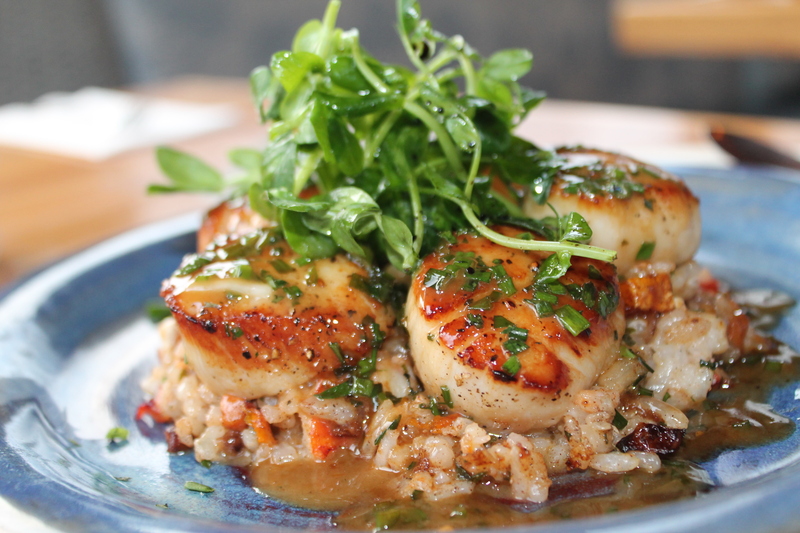 They normally have sea scallops on the menu, so I recommend you getting them. Served over a seasonal risotto, it’s one of my favorite dishes. The restaurant is cozy and the perfect place for dinner with friends or that special someone. It’s on the smaller side, so I love it because it’s quite intimate. Lucky Hank’s is located on 218 Upper Main Street, Edgartown, MA and open year round with some closing exceptions in the winter. If you’re going to have one dish in Edgartown, I really think it should be this Truffle Lobster Macaroni & Cheese from the Atlantic Fish & Chop House. It’s hands down the best lobster macaroni and cheese on island, in my opinion. The sauce is rich from a combination of cheeses, it has massive amounts of lobster meat, is slightly flavored with summer truffles on top (not overwhelming), and then baked with a panko breadcrumb crust. It’s heaven and also the perfect dish to share! Atlantic Fish & Chop House is located on 2 Main Street Edgartown, MA and open seasonally May through October. If there’s one dish I wait all summer long for is this Taleggio Peach Salad from Détente. Melted taleggio cheese on organic peaches, tossed with white truffle and verjus, topped with baby arugula, what more can I ask for? It’s the perfect combination of sweet peaches, creamy melted cheese, and a hint of bitterness from the arugula just rounds it all out. Not only is Détente my go to spot for date night, but it’s great to sit at the bar and order a few appetizers and chat. The menu is crafted in such a thoughtful way that everything is delicious and will excite your palate. Chef Kevin and his team create magic out of their tiny kitchen – a hidden gem in Edgartown! Détente is located on 15 Winter Street (Nevin Square), Edgartown, MA and is open seasonally May through September. 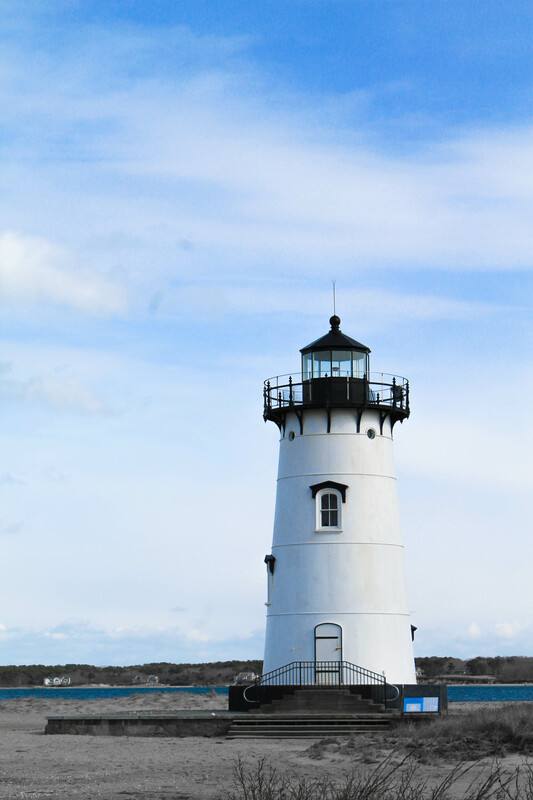 The iconic Edgartown Lighthouse is such a gorgeous sight to see and one of my favorite places to relax when I have a few hours of. It’s close enough to Fuller Street Beach that I can walk down and grab a spot on the sand to read while admiring the lighthouse from afar. Originally built in 1828, the current Edgartown Lighthouse stands on shore, accessible by a walking path in front of the Harbor View Hotel on North Water Street. You can walk up and explore the lighthouse seasonally – details in link above. I personally have yet to go on this but it’s on my summer bucket list of 2018 andI cannot wait! In the meantime, if you’re visiting Edgartown this season, book a trip with them. Living in Edgartown for the past eight years, nothing is more fun than just walking down Main Street and running into people. 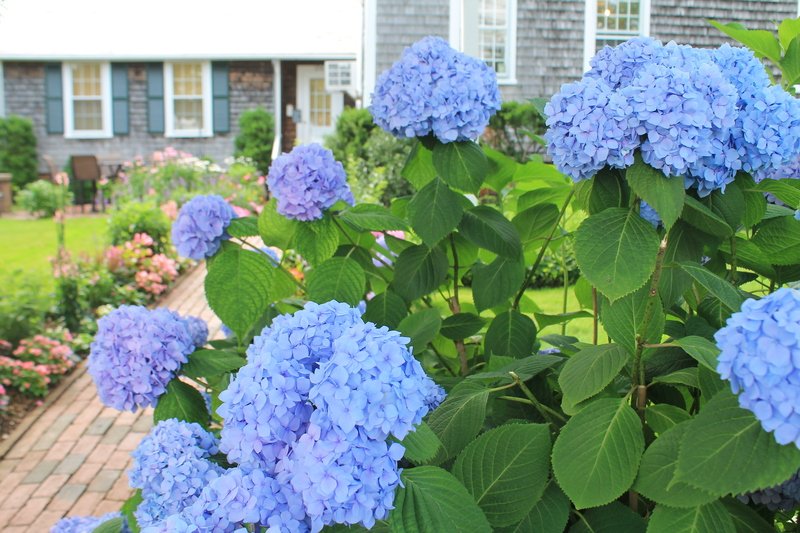 In the peak of summer, everyone is incredibly busy but we always have time to stop and smell the hydrangeas that line the streets of Edgartown. One of my favorite time of year, when all the flowers are in bloom! Vineyarders take great pride in their gardens, so stroll not only down Main Street but walk down the smaller side streets and relax. Hoping this food and travel guide to Edgartown helps you put together a fun itinerary while on Martha’s Vineyard. If you have any questions about traveling to the island, please email me at marnely at gmail dot com and I’m happy to help with specifics. In conclusion – I just want everyone to visit Edgartown and fall in love with this historic and quaint New England town! I love so many of these dining spots that you mention – now I can’t wait to try those that I didn’t know about. Thanks for the delicious descriptions.